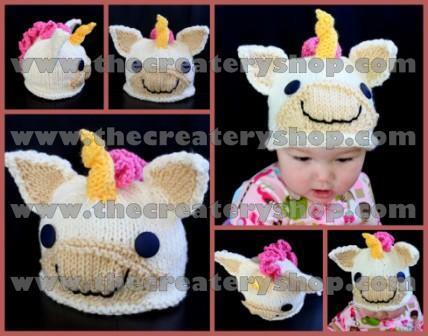 As I thought about how to make this hat, it did not occur to me that Unicorns have a very unique spiral to their horns, which I would have to replicate! After many attempts I finally managed to figure it out, which makes this hat that much more unique for your little one! For more wonderful projects, visit www.thecreateryshop.com! To buy pattern, visit www.etsy.com/shop/createry or click on the button below for direct quick purchase!